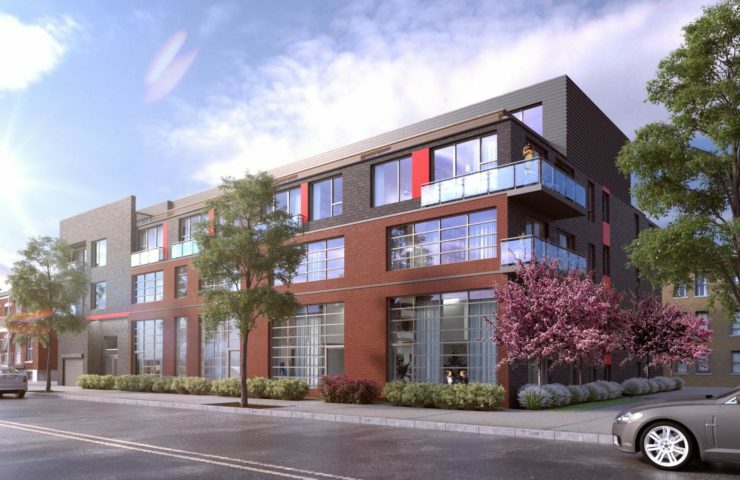 There are plenty of great neighbourhoods in Montreal, but an increasing number of people are hankering to live in the Mile Ex area over the last few years. The residents who already live there pat themselves on the back as they consider themselves lucky to find a home in the area. While some do sell their homes due to the increasing demand and resulting higher prices, others are resolutely determined to stay put. They just love it here, and that’s why people are snapping up condos in Mile Ex. Being one of the residents of Mile Ex gives you a certain sense of belonging. Everyone here feels lucky to live here, and people regard each other as close friends and neighbours. For the most part, the people are accepting, friendly, and relaxed and it feels very much like home. What’s more, it has a very trendy vibe that’s not going away soon. It offers plenty of block parties for everyone to enjoy and to meet all the other residents in the area. It has a lot of artistic vibe too, with the Never Apart gallery showing lots of events screenings and the DIY boutiques with their vintage Montreal works of art. You don’t have to go home right away after work, especially when you have plenty of nice bars to visit first. People here love the Alexandraplatz and its resemblance to German beer gardens, and this place tends to host a lot of outdoor festivals. Other bars have music venues, and some even hold film screenings. They’re not all artsy pretentious films either, as people enjoy their drinks watching ridiculous horror movies and action films from the 1980s. It’s all in good fun. If you’re a foodie, then you don’t have to go far for some culinary treats. In fact, people from other areas in Montreal come here as it has some of the most excellent restaurants in the whole city. Quirky favourites include the Dépanneur Le Pick Up, which seems like a standard Quebec corner store except that the lunch counter is decidedly retro. It also serves just about the best sandwiches in the city. There’s also the Dinette Triple Crown if you’re looking for packed lunches for your picnic baskets, and you definitely need to taste their famous fried chicken. The Restaurant Mile Ex is also an icon as it has made ordinary street food into extraordinary gastronomic delights. Try their poutine, crab fritters, and squid roll merguez and you’ll understand why this is a fixture for foodies. Visit Manitoba too, which seems deceptively simple and industrial. The quality of the food shines through if you’re a foodie, as the place insists on using fresh ingredients prepared in innovative ways. In the mornings, try the Dispatch Coffee. In fact, drop in at any time. The curated coffee selection is fantastic, and it doubles as a restaurant. Another benefit of living in Mile Ex, according to the residents here, is that you’re not limited to just the neighbourhood. Its location makes it quite easy for the residents here to enjoy other parts of Montreal. Because of the convenient metro, you can always just drop by downtown. You can visit Little Italy, Parc-Ex, the Plateau, and Rosemont, which means you can always get to the museum district or Talon Market with no trouble.